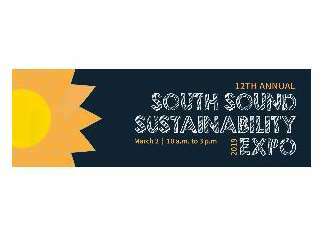 The 12th Annual South Sound Sustainability Expo is taking place on Saturday, March 2, from 10 a.m. to 3 p.m., at the Greater Tacoma Convention Center (1500 Broadway). This free event connects community members with nearly 100 local businesses and organizations dedicated to a healthy and environmentally sustainable South Sound. Participants will explore a variety of topics, including electric bikes, green construction, local art, and a community-based art project. The event will also feature workshops on zero waste communities, environmental justice, body-based mindfulness, and a panel on local and sustainable businesses. New this year is a Fix-It Fair, hosted by the Tacoma Tool Library and Zero Waste Washington. Participants can bring jewelry, clothing, small appliances, and more to get fixed for free. Families will be able to enjoy sustainable arts and crafts in the expanded Kid's Corner while also interacting with their local environment through hands-on exploratory learning. All participants are encouraged to bring a t-shirt, shopping bag or other fabric item to screen print.